If you’re looking for professional Mazda service near Overland Park, then count on the factory-trained and certified technicians at Eddy’s Mazda of Lee’s Summit. At our state-of-the-art Mazda service center, you can come in for everything from oil changes to Mazda recalls. If you’ve purchase your vehicle from us, then you can take advantage of our lifetime warranty for complimentary maintenance and repairs on qualifying services. When you bring your vehicle in for service, our technicians will run your make, model, and year through our centralized Mazda database to check for any potential Mazda recalls on your vehicle. We’ll replace recalled parts and systems for you free of charge. Mazda vehicles are built to last and come backed by generous manufacturer warranties, including a 3-year/36,000-mile new vehicle limited warranty and a 5-year/60,000-mile powertrain limited warranty. And when you buy your Mazda from Eddy’s Mazda of Lee’s Summit, you’ll also get our exclusive lifetime warranty coverage. At our service center, we understand that each Mazda vehicle has been carefully designed and manufactured to precise specifications. That’s why it’s so important to get any of your parts replaced with genuine Mazda OEM parts — and it’s exactly what you’ll get from us every time. 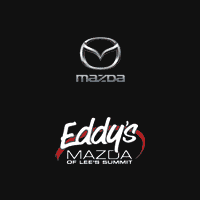 The Mazda service team at Eddy’s Mazda of Lee’s Summit is here to serve drivers throughout greater Kansas City at 975 SE Oldham Parkway in Lee’s Summit, MO. Contact us to set up an appointment today. How Long is the Warranty on Mazda Vehicles?